This review first appeared in Turbula in April 2008. 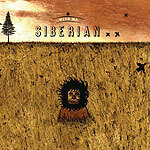 A bit like early U2 or, more recently, The Killers, in its combination of alt-rock edginess, arena-rock anthems and 1980s new romantic melodies, Siberian has synthesized a variety of hit-making formulas into an attractive package that has them a national recording contract and an accompanying tour. Their debut from late last year has all the ingredients for success: luscious melodies, jangly guitar leads, a lead singer with an attractive voice. But it all seems a bit too safe, a touch over-produced. There's little feeling of spontaneity to be found here. At some point, it would have been refreshing to have the band simply let loose on a track or two.